Well after a very chilly start to the day that included a nice frost, we were finally greeted with some sunshine for Round 6 of the HMBA Club XC Series. This was also the first time using the club’s new XC timing system. 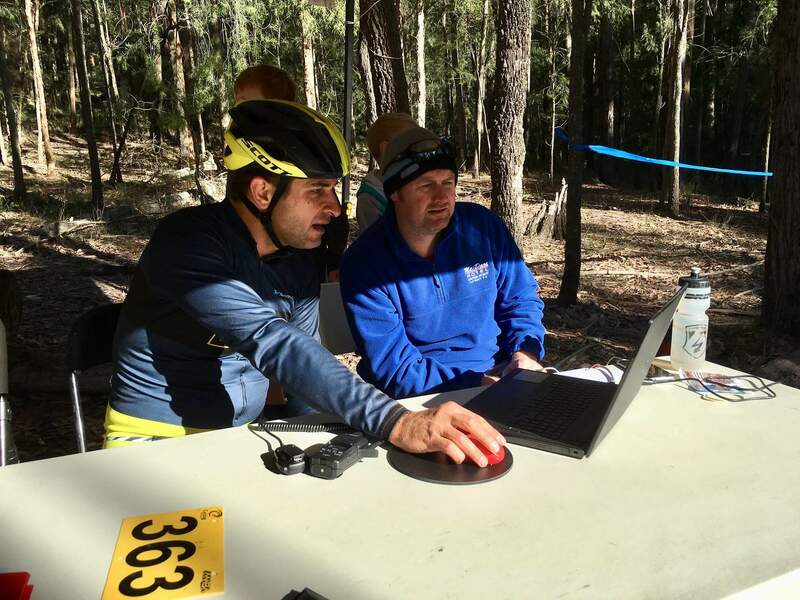 Club President Clint had his “L” plates on for his first go at registration using the new Race Results timing software, thankfully he overcame his lack of typing skills and poor spelling to get everyone registered without incident and before the race started, a miracle some may say! At this point the Club would like to send a massive thank you out to Martin Wisata of Rocky Trail Entertainment for his help setting up the new timing system and assisting with registrations, while also giving driving lessons on the new system. This month’s race saw our usual track setting guru Dean away on a well deserved family holiday, so we had his understudy Joel step up and set what was by all accounts an amazing course. It took in all the best bits of the track with none of the hills (Dean please take note it can be done !) and ended up being 5.5km of awesome Awaba single track. We had 58 riders registered today, and let’s just say the racing was fast and furious from the outset – with anyone suffering from the cold quickly suffering from the pace of racing and forgetting the lack of feeling in their extremities. Male winner for the day was Mitch Lozinski, with the fastest female being Emily Dreaper, Congratulations for your well deserved wins. Thank you to all the riders that made the effort to brave the cold and come racing today, we hope to see everyone again at Round 7 of the HMBA Club XC series on 19/8/18.